Until an alternative exists, prostate cancer testing is the best option we have to allow men to make an informed decision. Disparaging testing does a great disservice. 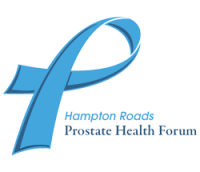 Because prostate cancer produces no symptoms until it’s too far advanced to cure, as appropriate, men should have a PSA test and examination. In 1990, before PSA testing, only 68% of newly diagnosed men had localized cancer and 21% were metastatic. Today, 91% are diagnosed with localized disease and only 4% have metastases. With the ability to diagnose cancer earlier and treatment advances, U.S. deaths from prostate cancer have fallen 40% in ten years, a greater decline than for any other cancer. Today, men have a choice that once did not exist: Undergo testing and, if there is cancer, make an informed choice for treatment or observation, or do nothing and run the risk of a diagnosis until it’s too late.